Two days after the team launched our cloud-based contact center platform to Intelisys channel partners, Cypress Technology signed up as Zailab’s first channel customer. The team decided to pay them a surprise visit in the ZaiTruck. Just two days after introducing the brand’s cloud-based contact center offering to Intelisys channel partners at the Channel Connect reseller event in October, Cypress Technology was the first company to sign up from the event. After hearing the news, Zailab Vice President of Sales and Marketing Michael Cibelli and his channel team boarded the ZaiTruck and headed to Illinois to surprise our newest customer. 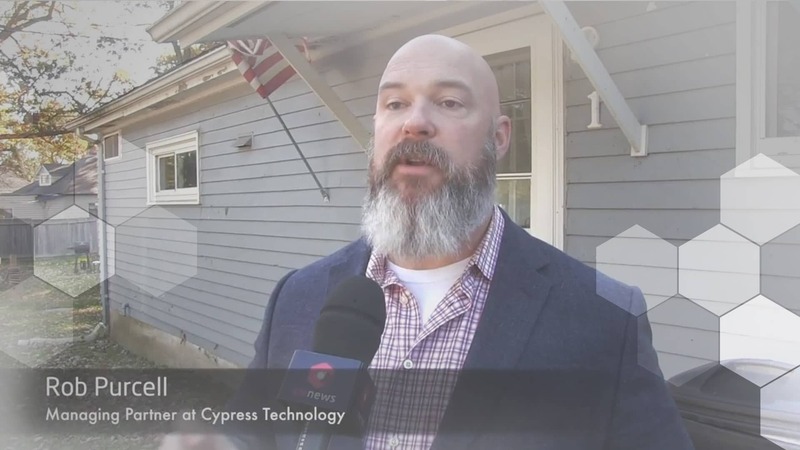 Rob Purcell, Managing Partner at Cypress Technology, greeted the team as they arrived in the larger-than-life branded space truck and showed them around the site of what will soon be Cypress Technology’s new office. Another aspect of the cloud-based contact center solution that will help Cypress Technology along their growth path is the fact that remote agents will be equipped with everything they need from one platform. ‘As we scale, we don’t necessarily have to have people here. Our consultants can be situated across the entire United States. And we do that by using the Zailab application,’ says Purcell.